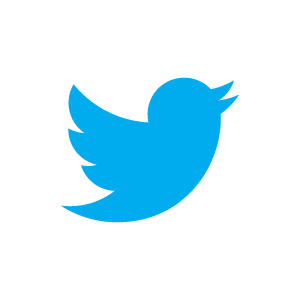 Whatever you’re into, whether it’s sports, celebrities or the latest in impact measurement and evaluation, Twitter is the place to go for the up-to-date news and information. But sometimes sifting through the endless sea of “tweeters” in search of those posting truly thoughtful and innovative content can be overwhelming. We keep a close eye on Twitter. On our feed - @demvalue - we like to share content about social enterprise, dashboard know-how, and impact measurement and evaluation. But we're not the only ones tweeting on these topics. We analyzed the people and organizations we follow and pulled out the ones who are really sharing interesting content. Take a look at our top picks! Yesterday evening Vancity Community Foundation and SAP co-hosted a special event to share advice about creating performance snapshots. With over 50 guests in attendance at the SAP Executive Briefing Centre, the event was a huge success. For those of you who missed out, here’s some highlights and useful recommendations that were shared yesterday evening. We hate to see it go, but summer is quickly drawing to a close. 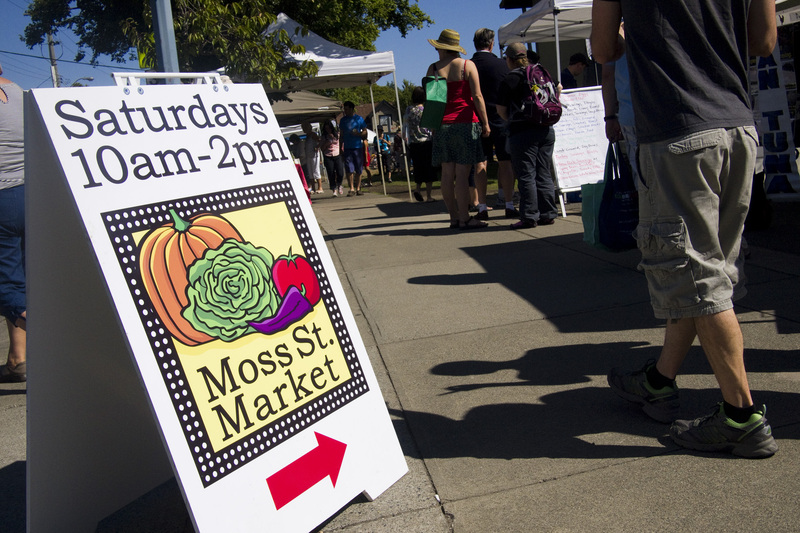 While many people are busy wrapping up summer vacation plans and preparing for fall, we’re busy wrapping up another phase in a special pilot project here at Demonstrating Value: the Farmers’ Market Impact Toolkit. There are major benefits to expressing the monetary value of your social enterprise activities. This is especially true when communicating with an audience focused on the financial bottom line of an investment. Increased credibility for your enterprise and improved communication with your investors – not to mention the potential to attract new investors – are just a few of these benefits. However, there are also some roadblocks that can happen along the way. In part three of our series, we’re investigating these roadblocks, and helping you determine whether pursuing a monetary analysis is right for your enterprise. What are the Benefits of Monetizing Value? Expressing value in numerical terms is a direct and concise way to describe value. Quantitative figures can compliment your description of the value of your enterprise, and are especially useful when communicating with investors or other stakeholders who like to know the facts. Last week we talked about describing organizational information to express value. Today, we’re taking a closer look at quantifying information and using quantitative indicators to analyze and express your organizational value. It’s a necessity for organizations to have the know-how to properly articulate organizational value. For your social enterprise, this means showing accountability to investors by demonstrating the value of your work and the resulting impact on the community. Do this properly, and it can lead to a dramatic increase in the level of support for your social enterprise. The difficulty is, however, that social enterprises often find it challenging to express social benefits in a clear and compelling way. 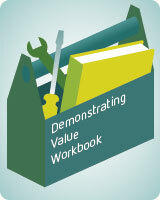 There’s a flurry of activity going on at Demonstrating Value, so we thought it time to bring back the basics and reconnect with the nuts and bolts of Demonstrating Value – the Demonstrating Value Workbook. The workbook is a tool that gives you the know-how to develop a clear and concise summary of your critical organizational info. What are your organizational goals? How do you communicate those goals, and how do you know when you’ve reached them? The workbook helps you see the “big picture” at a glance, and shares the details that you, your stakeholders and your community want to know. Welcome back to the Demonstrating Value Blog! Things have been quiet on the blog for the past few weeks, but behind the scenes we’ve been busier than ever. Now after a brief hiatus, we’re back to sharing news and stories on evaluation and impact, and discussing the tools, resources and information you need to tell your organizational story and communicate the value of your work. The Social Enterprise Portfolio Program, delivered by Vancity and Vancity Community Foundation, aims to ensure that promising social enterprises have access to the financial and technical resources required for both start-up and growth phases. The Program works with a portfolio of 8-10 social enterprises each year, providing a range of funding and other support depending on the needs and stage of the social enterprise. Social Enterprise Portfolio grant recipients use Demonstrating Value as a performance management and reporting tool. 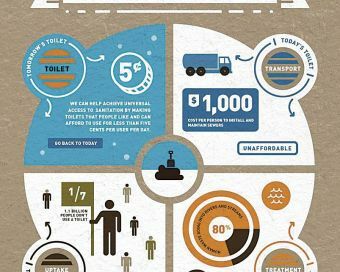 In Visualizing Data Helps Charities Get Attention, a recent article published in The Chronicle of Philanthropy, Nicole Wallace paints a compelling picture of the value of infographics and data visualization in communicating a cause and spurring awareness. While the article focuses on charities, the messages and key points are applicable across organizational structures; social enterprises, mission-based businesses, co-operatives, and charities alike could all benefit from Wallace’s insights.